Mr. Satterthwaite sat on the terrace of Crow's Nest and watched his host, Mr. Cartwright, climbing up from the path from the sea. "Aha!" Poirot put immense meaning in the exclamation. 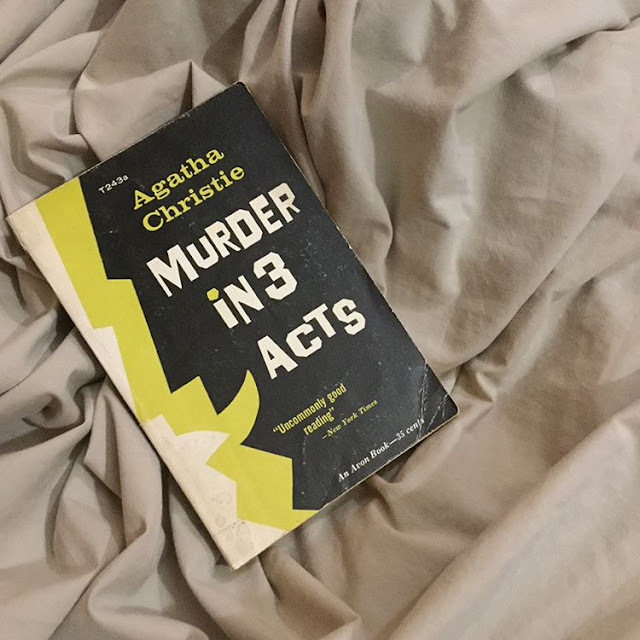 About Murder in Three Acts by Agatha Christie* (also entitled Three Act Tragedy):A cocktail party ends in murder, but who did it? Why? And for that matter, how? No real cause of death has been established. It's a real baffler and it's prompting Hercule Poirot to ask another question...who's next? Did you join last Friday's giveaway of Michael Bernhart's How Existentialism Almost Killed Me? If you did, please make sure to check your email because Michael very generously decided to give all those who entered an ebook! So make sure to check your email. I just love old books and have been coming across them in thrift stores quite a bit. In fact this Agatha Christie was found with these others. I couldn't resist snapping them up! 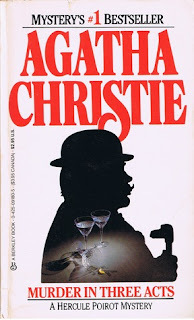 Do you like Agatha Christie? Which of her books is your fave?